Updated results from these clinical studies will be presented as oral presentations at the 58th American Society of Hematology (ASH) Annual Meeting to be held in San Diego, CA from December 3-6, 2016 (Abstract #1150; Abstract #1151). Interference with Serological Testing - Daratumumab binds to CD38 on red blood cells (RBCs) and results in a positive Indirect Antiglobulin Test (Indirect Coombs test). Daratumumab-mediated positive indirect antiglobulin test may persist for up to 6 months after the last daratumumab infusion. 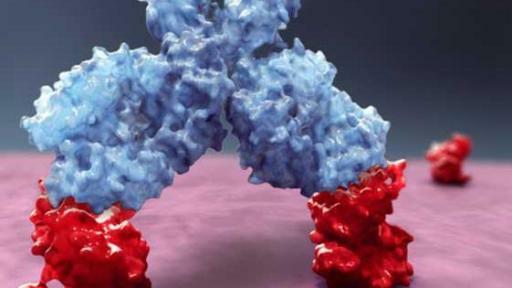 Daratumumab bound to RBCs masks detection of antibodies to minor antigens in the patient’s serum. The determination of a patient’s ABO and Rh blood type are not impacted. Notify blood transfusion centers of this interference with serological testing and inform blood banks that a patient has received DARZALEX®. Type and screen patients prior to starting DARZALEX®. Neutropenia - DARZALEX may increase neutropenia induced by background therapy. Monitor complete blood cell counts periodically during treatment according to manufacturer’s prescribing information for background therapies. Monitor patients with neutropenia for signs of infection. DARZALEX dose delay may be required to allow recovery of neutrophils. No dose reduction of DARZALEX is recommended. Consider supportive care with growth factors. Thrombocytopenia - DARZALEX may increase thrombocytopenia induced by background therapy. Monitor complete blood cell counts periodically during treatment according to manufacturer’s prescribing information for background therapies. DARZALEX dose delay may be required to allow recovery of platelets. No dose reduction of DARZALEX is recommended. Consider supportive care with transfusions. Adverse Reactions – In patients who received Darzalex in combination with lenalidomide and dexamethasone, the most frequently reported adverse reactions (incidence ≥20%) were: neutropenia (92%), thrombocytopenia (73%), upper respiratory tract infection (65%), infusion reactions (48%), diarrhea (43%), fatigue (35%), cough (30%), muscle spasms (26%), nausea (24%), dyspnea (21%) and pyrexia (20%). The overall incidence of serious adverse reactions was 49%. Serious adverse reactions were pneumonia (12%), upper respiratory tract infection (7%), influenza (3%) and pyrexia (3%). 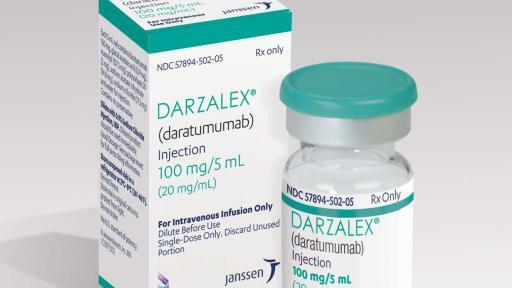 Effect of Other Drugs on daratumumab: The coadministration of lenalidomide or bortezomib with DARZALEX did not affect the pharmacokinetics of daratumumab. Effect of Daratumumab on Other Drugs: The coadministration of DARZALEX with bortezomib did not affect the pharmacokinetics of bortezomib. 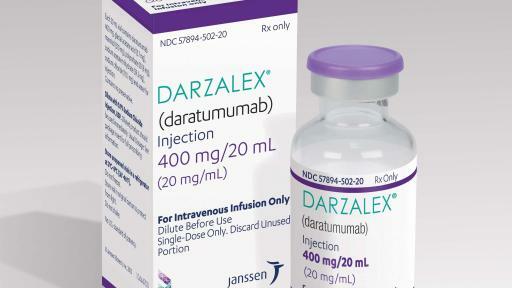 This press release contains "forward-looking statements" as defined in the Private Securities Litigation Reform Act of 1995 regarding DARZALEX’s potential and further development of daratumumab. The reader is cautioned not to rely on these forward-looking statements. These statements are based on current expectations of future events. If underlying assumptions prove inaccurate or known or unknown risks or uncertainties materialize, actual results could vary materially from the expectations and projections of Janssen Biotech, Inc., Janssen Research & Development, LLC and/or Johnson & Johnson. Risks and uncertainties include, but are not limited to: challenges inherent in product research and development, including the uncertainty of clinical success and obtaining regulatory approvals; uncertainty of commercial success for new products or new indications; manufacturing difficulties or delays; competition, including technological advances, new products and patents attained by competitors; challenges to patents; changes to applicable laws and regulations, including global health care reforms; and trends toward health care cost containment. A further list and description of these risks, uncertainties and other factors can be found in Johnson & Johnson's Annual Report on Form 10-K for the fiscal year ended January 3, 2016, including in Exhibit 99 thereto, and the company's subsequent filings with the Securities and Exchange Commission. Copies of these filings are available online at www.sec.gov, www.jnj.com or on request from Johnson & Johnson. 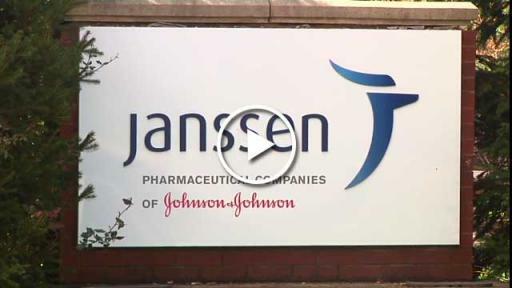 None of the Janssen Pharmaceutical Companies or Johnson & Johnson undertakes to update any forward-looking statement as a result of new information or future events or developments. 1 DARZALEX Prescribing Information, November 2016. 3 American Cancer Society. "Multiple Myeloma Overview." Available at: http://www.cancer.org/cancer/multiplemyeloma/detailedguide/multiple-myeloma-what-is-multiple-myeloma. Accessed November 2015. 4 Janssen Biotech, Inc. “Janssen Submits Application to U.S. FDA to Expand Indication for Daratumumab (DARZALEX®).” Issued August 17, 2016. 5 Janssen Research & Development, LLC. 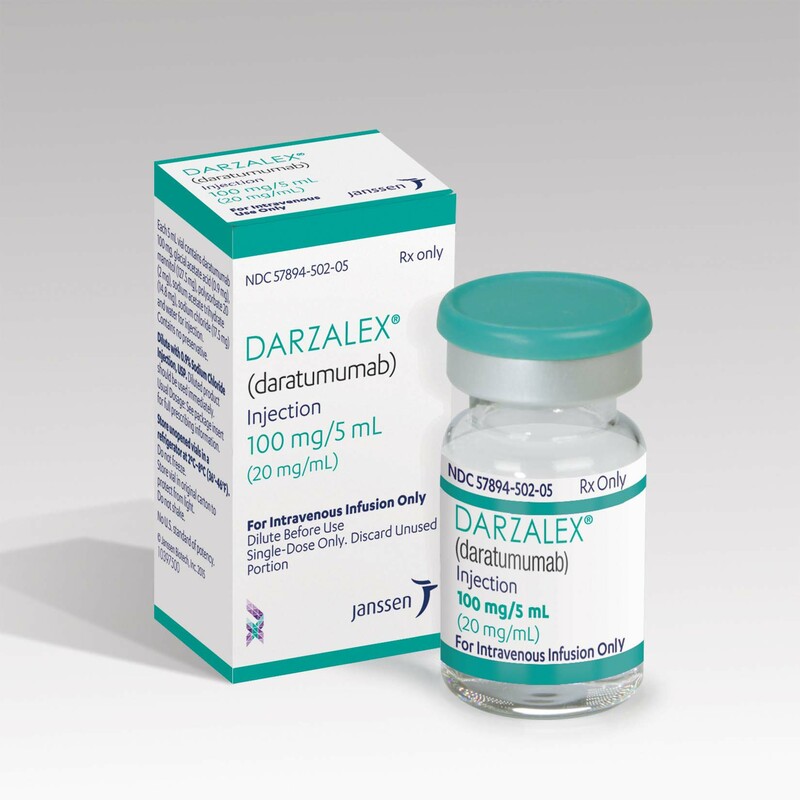 “Daratumumab (DARZALEX®) Granted Breakthrough Therapy Designation by U.S. Food and Drug Administration (FDA) for Use in Combination with Standard of Care Regimens for Patients with Multiple Myeloma.” Issued July 25, 2016. 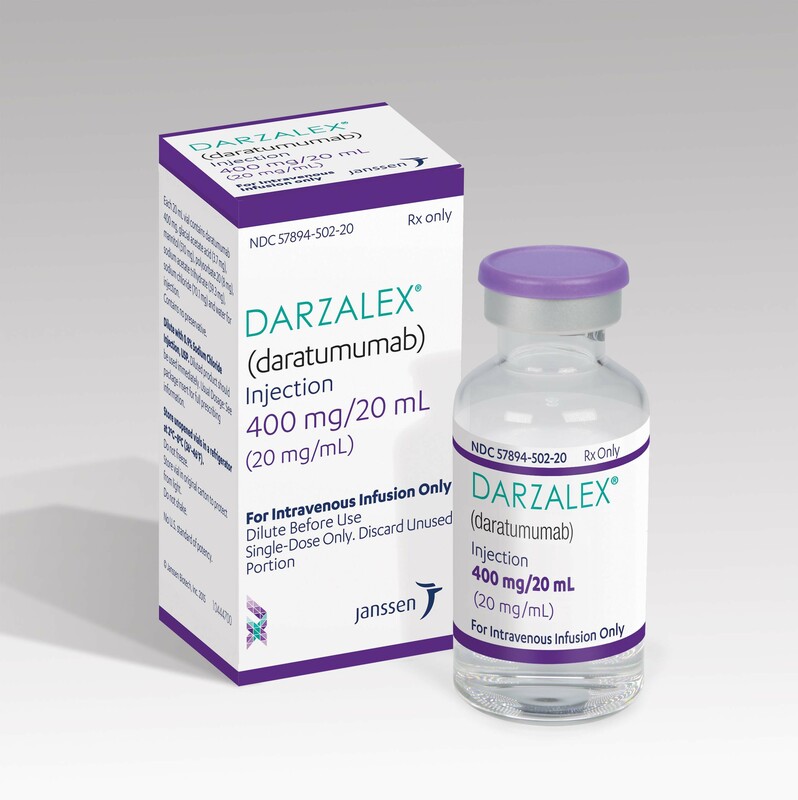 6 Janssen Biotech, Inc. “DARZALEX (daratumumab) Approved by U.S. FDA: First Human Anti-CD38 Monoclonal Antibody Available for the Treatment of multiple Myeloma.” Issued November 16, 2015. 7 Dimopoulos, et al. Daratumumab, Lenalidomide, and Dexamethasone for Multiple Myeloma. N Engl J Med 2016; 375:1319-1331. 8 Palumbo, et al. Daratumumab, Bortezomib, and Dexamethasone for Multiple Myeloma. N Engl J Med 2016; 375:754-766. 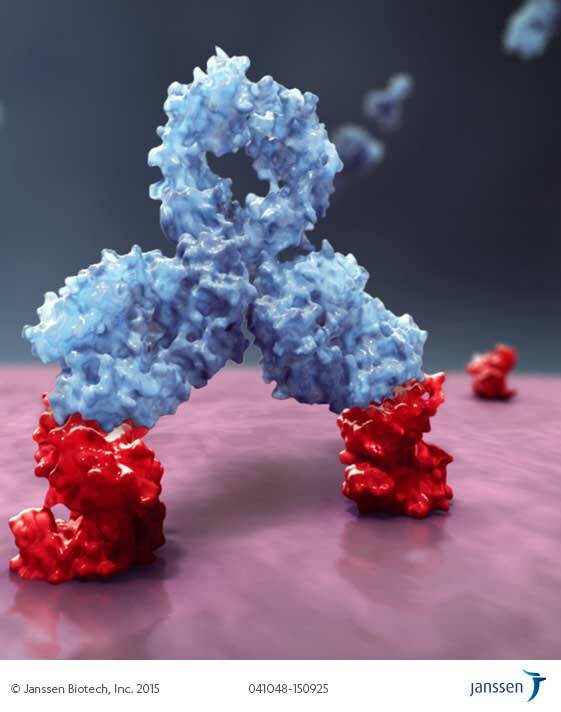 9 Janssen Biotech, Inc. “Janssen Biotech Announces Global License and Development Agreement for Investigational Anti-Cancer Agent Daratumumab.” Issued August 30, 2012. 11 Janssen Research & Development, LLC. A Study Comparing Daratumumab, Lenalidomide, and Dexamethasone With Lenalidomide and Dexamethasone in Relapsed or Refractory Multiple Myeloma. In: ClinicalTrials.gov [Internet]. Bethesda (MD): National Library of Medicine (US). 2000-[cited 2016 Nov 11]. Available from: https://clinicaltrials.gov/ct2/show/NCT02076009?term=mmy3003&rank=1 NLM Identifier: NCT02136134. 12 Janssen Research & Development, LLC. Addition of Daratumumab to Combination of Bortezomib and Dexamethasone in Participants With Relapsed or Refractory Multiple Myeloma. In: ClinicalTrials.gov [Internet]. Bethesda (MD): National Library of Medicine (US). 2000-[cited 2016 Nov 11]. Available from: https://clinicaltrials.gov/ct2/show/NCT02136134?term=mmy3004&rank=1 NLM Identifier: NCT02076009. 13 Janssen Research & Development, LLC. A Study to Evaluate Daratumumab in Transplant Eligible Participants With Previously Untreated Multiple Myeloma (Cassiopeia). In: ClinicalTrials.gov [Internet]. Bethesda (MD): National Library of Medicine (US). 2000-[cited 2016 Nov 11]. Available from: https://clinicaltrials.gov/ct2/show/NCT02541383?term=mmy3006&rank=2 NLM Identifier: NCT02541383. 14 Janssen Research & Development, LLC. A Study of Combination of Daratumumab and Velcade (Bortezomib) Melphalan-Prednisone (DVMP) Compared to Velcade Melphalan-Prednisone (VMP) in Participants With Previously Untreated Multiple Myeloma In: ClinicalTrials.gov [Internet]. Bethesda (MD): National Library of Medicine (US). 2000-[cited 2016 Nov 11]. https://clinicaltrials.gov/ct2/show/NCT02195479?term=mmy3007&rank=1 Identifier: NCT02195479. 15 Janssen Research & Development, LLC. Study Comparing Daratumumab, Lenalidomide, and Dexamethasone With Lenalidomide and Dexamethasone in Participants With Previously Untreated Multiple MyelomaIn: ClinicalTrials.gov [Internet]. Bethesda (MD): National Library of Medicine (US). 2000-[cited 2016 Nov 11]. https://clinicaltrials.gov/ct2/show/NCT02252172?term=mmy3008&rank=1 Identifier: NCT02252172. 17 Janssen Research & Development, LLC. A Study to Evaluate 3 Dose Schedules of Daratumumab in Participants With Smoldering Multiple Myeloma In: ClinicalTrials.gov [Internet]. Bethesda (MD): National Library of Medicine (US). 2000-[cited 2016 Nov 11]. https://clinicaltrials.gov/ct2/show/NCT02316106?term=smm2001&rank=1 Identifier: NCT02316106. 18 Janssen Research & Development, LLC. An Efficacy and Safety Proof of Concept Study of Daratumumab in Relapsed/Refractory Mantle Cell Lymphoma, Diffuse Large B-Cell Lymphoma, and Follicular Lymphoma In: ClinicalTrials.gov [Internet]. Bethesda (MD): National Library of Medicine (US). 2000-[cited 2016 Nov 11]. https://clinicaltrials.gov/ct2/show/NCT02413489?term=lym2001&rank=1 Identifier: NCT02413489. 19 National Cancer Institute. “NCI Dictionary of Cancer Terms: Refractory.” Available at: http://www.cancer.gov/publications/dictionaries/cancer-terms?expand=R. Accessed November 2015. 20 Richardson, et al. “The Treatment of Relapsed and Refractory Multiple Myeloma.” ASH Education Book January 1, 2007 vol. 2007 no. 1 317-323. 21 National Cancer Institute. “NCI Dictionary of Cancer Terms: Relapsed.” Available at: http://www.cancer.gov/publications/dictionaries/cancer-terms?expand=R. Accessed November 2015. 22 GLOBOCAN 2012: Estimated Cancer Incidence, Mortality and Prevalence Worldwide: Number of New Cancers in 2015. Available at: http://globocan.iarc.fr/old/burden.asp?selection_pop=224900&Text-p=World&selection_cancer=17270&Text-c=Multiple+myeloma&pYear=3&type=0&window=1&submit=%C2%A0Execute. Accessed August 2016. 23 GLOBOCAN 2012: Estimated Cancer Incidence, Mortality and Prevalence Worldwide: Number of Cancer Deaths in 2015. Available at: http://globocan.iarc.fr/old/burden.asp?selection_pop=224900&Text-p=World&selection_cancer=17270&Text-c=Multiple+myeloma&pYear=3&type=1&window=1&submit=%C2%A0Execute. Accessed November 2015. 24 American Cancer Society. "How is Multiple Myeloma Diagnosed?" Available at: http://www.cancer.org/cancer/multiplemyeloma/detailedguide/multiple-myeloma-diagnosis. Accessed November 2015.